Middlesex Tennis consists of two full time staff and two part time staff who work together with the Management Board to create more opportunities for people in Middlesex to play and compete in tennis at all levels of the game. John took up the post of Middlesex Tennis Development Manager in January 2015 after spending 14-years in various roles within the LTA. 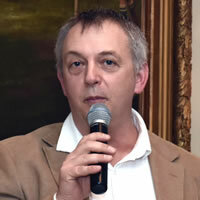 His primary roles within Middlesex Tennis are to support the Management Board in their medium and long-term strategy to develop tennis in the county. This includes supporting clubs to grow their membership and develop their facilities, club registration, generating sponsorship income, LTA liaison, management and administration of the British Tennis Awards and Friends scheme and the general day to day enquiries from registered clubs. John is also our County Safeguarding officer. Outside of his Middlesex Tennis role, John is an active volunteer at Thistleworth Tennis club where he is Chairman of the Tennis Committee, Secretary of the Executive Committee and Membership Secretary. He is also level 4 accredited+ coach and heads up their coaching programme. Sangeeta oversees Middlesex competitions including Middlesex Club leagues, Middlesex Winter Postal and the Middlesex Mini Masters Series. She also administrators the County Training programme and County Cup events. 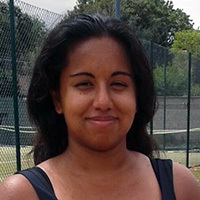 Sangeeta is a graduate from Loughborough University, where she gained qualifications as an LTA/ABTO Umpire and Referee. She has experience of working at all levels of events from beginner junior tournaments to Professional ITF events. She still regularly competes in Middlesex leagues for her Club, Ealing LTC. Sangeeta is also an LTA DBS ID Checker. Please contact her to make an appointment. Andrew started his coaching career working at Ealing and Brentham LTC and joined the Middlesex County Coaching and South East Regional staff, before becoming one of the first County Coach Development officers for Berkshire LTA. Andrew joined the LTA in 1992 and through his various roles was responsible for heading up national junior programs for players of all ages. Andrew has extensive international individual and team management experience and has advised many young British junior players (and their parents) who now currently compete at the highest level on the ATP and WTA tours. As part of Andrew's National Coaching roles he has mentored a number of current Great Britain's leading coaches. 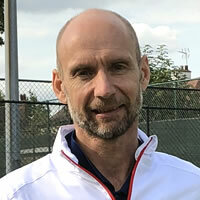 As well as having an extensive knowledge of Middlesex Tennis as a player and a coach Andrew brings to the role a very strong understanding of pathway development across counties nationally and will work with all key tennis people in Middlesex to develop the right approach and programme for the county moving forwards. 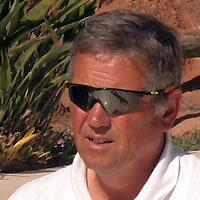 Mark has more than 25 years of experience in Paralympic and disability sport. He is the former ITF Wheelchair Tennis Manager, ITF Wheelchair Tennis Development Officer and National Wheelchair Tennis Coach and has travelled to more than 80 countries developing wheelchair tennis. He has attended four Paralympic Games and two Olympic Games in a variety of roles from coach to Technical Delegate. He is an advisor to the International Blind Tennis Association and was a member of IPC Paralympic Games Committee from 2014 to 2018. Mark is married to former Brazilian no 1 wheelchair tennis player Samanta Bullock, is currently coaching wheelchair and visually tennis at the National Tennis Centre and has worked with a number of wheelchair tennis players including Paralympians Jayant Mistry and Evans Maripa. He is an ambassador for Parallel Global, the world's first fully inclusive set of mass participation events. Most recently Mark was the Player Liaison Officer for the wheelchair tennis event at Wimbledon and co-commentator at the British Open Wheelchair Tennis Championships in Nottingham.